Hi friends! 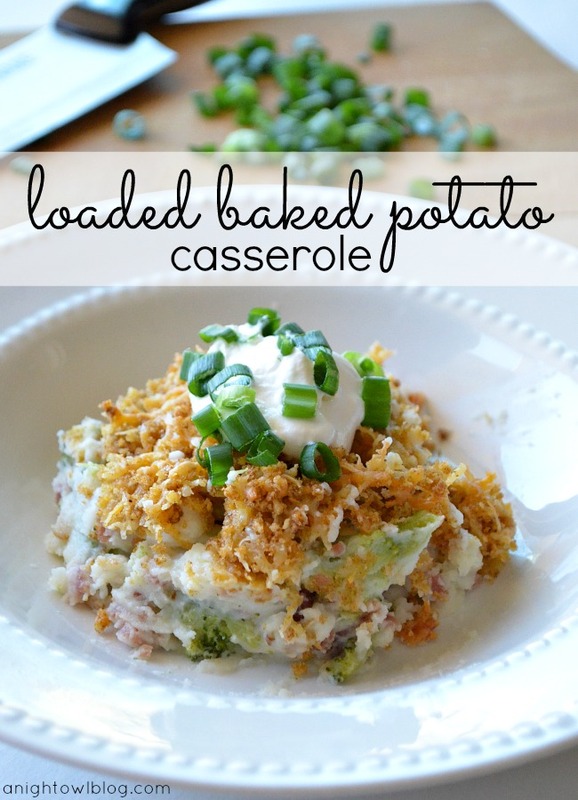 I am so excited to share a fun, new recipe with you today: Loaded Baked Potato Casserole with Kraft Fresh Take! Kraft Fresh Take is a meal kit that provides you with a fresh take on any meal. 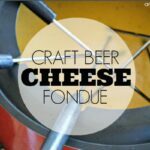 The cheese and breadcrumb mix gives you flavorful, crisp and cheesy dishes with easy preparation! So when I was tasked to come up with a tasty side with Kraft Fresh Take – I immediately thought of a yummy loaded baked potato! But baked potatoes (depending on how you cook them) can take some time to prep, and I’m usually a quick 30-minute meal kind of gal. So I came up with this idea to mix loaded baked potato ingredients with some mashed potatoes, top with Kraft Fresh Take, and make it a casserole side dish! Once I had this idea in mind, I headed down to my local Walmart to pick up the groceries. You can see the Google+ Album of my shopping trip here! I grabbed all the things I needed, including Kraft Fresh Take. 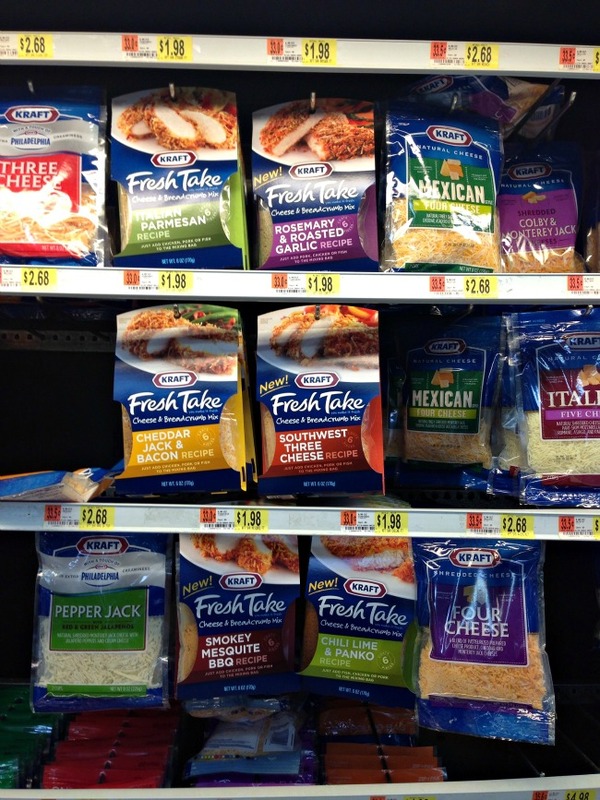 You can find Kraft Fresh Take varieties in the refrigerated cheese section of your local Walmart. 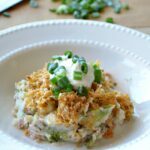 Once I had groceries in hand, I headed home to whip up the Loaded Baked Potato Casserole as a side to our rotisserie chicken for dinner! Here’s the recipe I came up with. A delicious "loaded" mashed potato recipe made with Kraft Fresh Take cheese & breadcrumb mix. Mix 1 tbsp cream cheese into mashed potatoes. Stir in steamed broccoli and bacon bits. Spread mashed potato mixture into a casserole dish. Open Kraft Fresh Take package to mix cheese and breadcrumbs. Cover mashed potatoes with Kraft Fresh Take mix. Remove from oven, dish out portions and serve with sour cream and chives (optional). The end result was amazing. I’m serious. Because I don’t have a lot of time during the week outside of work and other activities, I don’t spend a lot of time in the kitchen. So when I make something that my husband really likes, he says so. Over and over. And this weekend he raved about this dish, and specifically about the Kraft Fresh Take topping. So I’ve started thinking of how I can incorporate more Kraft Fresh Take into our meals! It’s really a quick and easy (and inexpensive!) way to kick your meals up a notch. Also, be sure to watch for the Kraft Fresh Possibilities Tour truck which will be making stops across the country from March through the end of July. To see if they are making a stop in your town you can check this website: Fresh Possibilities Tour. Minus the broccoli, I’m in this looks delish!! LOL! I’m usually not a huge fan of broccoli – but in this it’s good! My boys love it! Thanks Shannon! You’ll have to let me know if you try it! This looks so delicious. I’m going to have to try it at some point. Let me know what you think Christine! It was so good Becca! My boys love broccoli, I don’t. But I have to admit it was really good in this! This looks absolutely delicious and easy to make for a weekend dinner. Going to the store tomorrow and I’m getting the ingredients to make this. The hubs will love. Thanks for sharing! Oh fun Kera! You’ll have to let me know how you like it! That looks so delicious, like something we all would love. 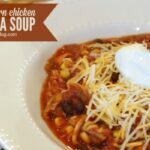 I pinned it … I’ll be adding it to the next meal list! This looks absolutely delicious!!! Perfect for Mother’s Day! Oh my goodness this looks good! 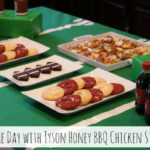 I am so glad that you posted this… I was having a hard time trying what to decide what to cook for dinner tonight! Problem solved! Hope you have a great week! Kimberly…that looks amazing! I’ve got to try making it! I’m going to have to try this. I love finding short cuts!!! Oh you’ll have to tell me if you do Esther! Looks yummy and very comforting! This sounds incredible. I gotta try it ASAP. Hi Heather! It’s a vintage Pyrex dish that I believe holds about 1 1/2 quarts. I just eyeballed what size I needed after I mixed the potatoes, broccoli and bacon together. Hope that helps! Seeing the prices of those bags of shredded cheese makes me want to cry!!! Where I live in Canada, at my local grocery store those bags of pre-shredded cheese sell for over $9 per bag!!! This recipe sounds really good though, and I will definitely be trying it!!! Hi Tia, the Kraft Cheese Fresh Take package is a mixture of breadcrumbs and cheese in one package. I didn’t make any, I used the Fresh Take as our topping. Hope that helps!